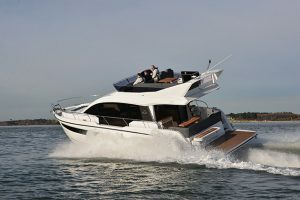 The idea of moving on to twin hulls can be a daunting prospect but, at 37ft 1in long and 16ft 8in wide, the Fountaine Pajot 37 gives you the extra space but still feels manageable when it comes to berthing. 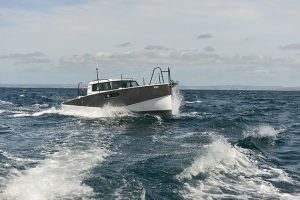 Our test boat had three cabins but you can also choose two very spacious ones or four slightly pokier bedrooms, the latter aimed mainly at the charter market. 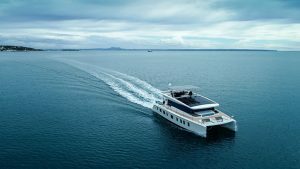 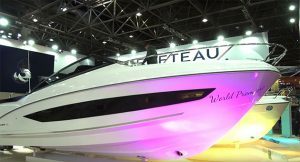 Three cabins felt a good balance, though, with the owner being treated to a capacious ensuite cabin that takes up the entire port hull and two roomy guest cabins in the starboard one that share a heads. 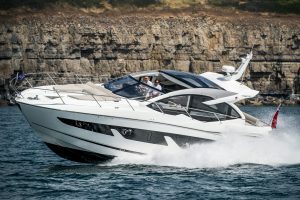 The saloon feels a little pinched in comparison to the large cabins but you feel the effect of the twin hulls in the cockpit and, of course, at the bow. 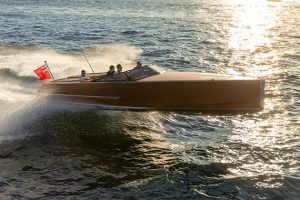 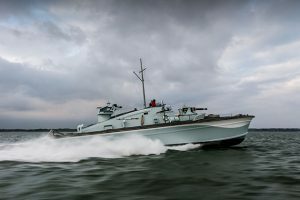 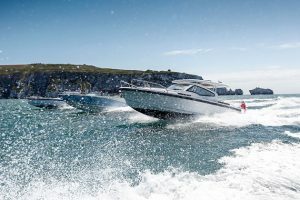 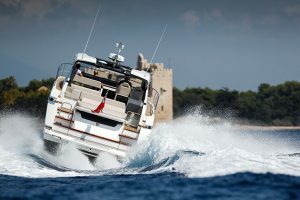 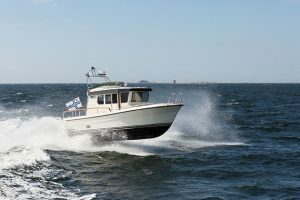 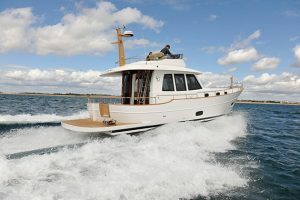 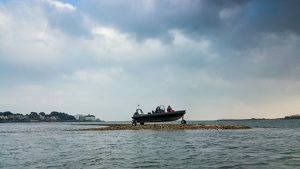 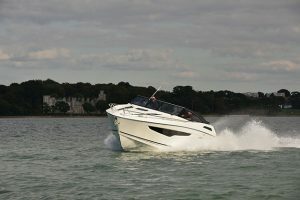 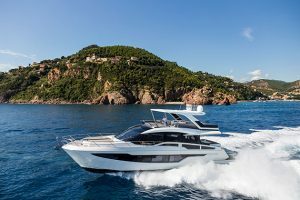 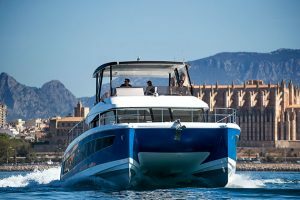 The pair of Volvo Penta D3 220hp diesels managed a top speed of 19.6 test, which is perfectly respectable for a power cat and, if you drop the pace to 7 knots, the range shoots up to over 750 miles. 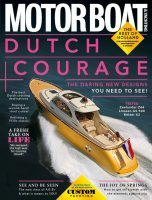 You can read the full report on the Fountaine Pajot 37 in the June 2015 issue of Motor Boat & Yachting.